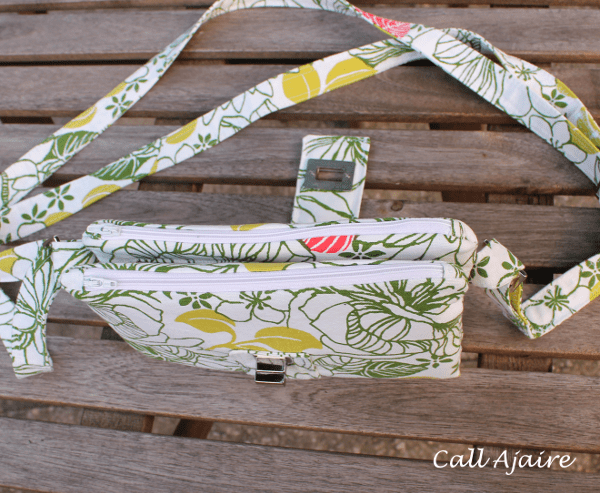 It’s another Selfish Sewing Week and I’m super excited about this one. I’ve been sewing SO MUCH for Bean’s fall wardrobe that it’ll be fun to take a break and sew for myself. 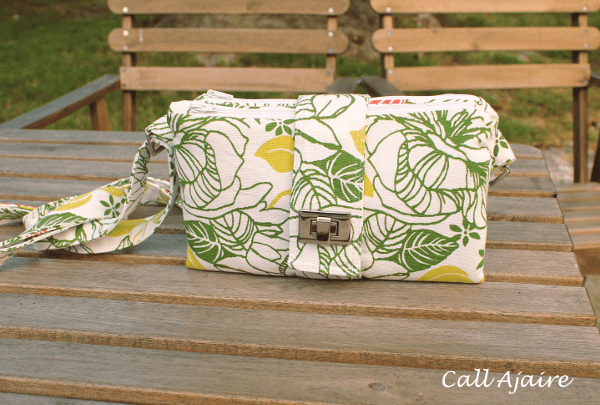 Whether you call it selfish sewing or self sewing or whatever, take some time this week to sew yourself something pretty! 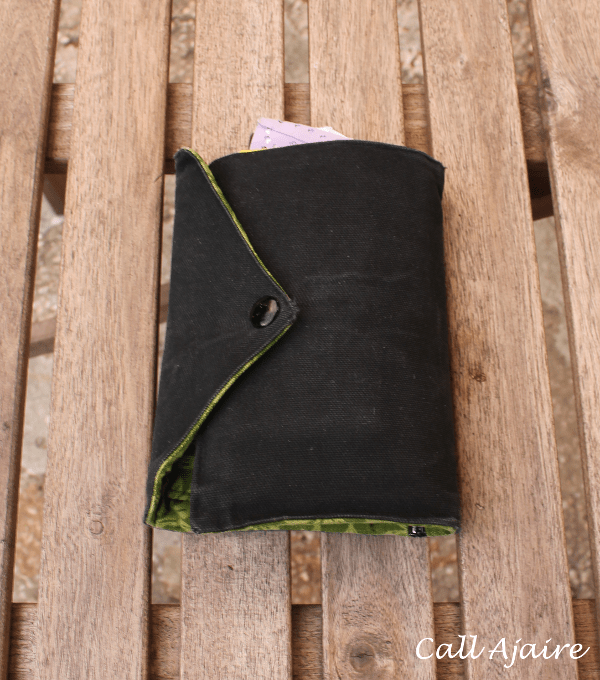 I’ve been needing a new purse or wallet for ages now and even though I normally make all my bags, I just couldn’t find what I was looking for and didn’t have the time to invent something. My old wallet was actually a travel wallet that I made for my husband back when we were dating and he had a big trip he was taking. It has cool pockets and zippered areas and when he got home from his trip I stole it back and have used it myself ever since. But sadly it’s well beyond it’s expiration at this point as you can see. Plus it’s stuffed to the gills with receipts and just a disaster, hehe. 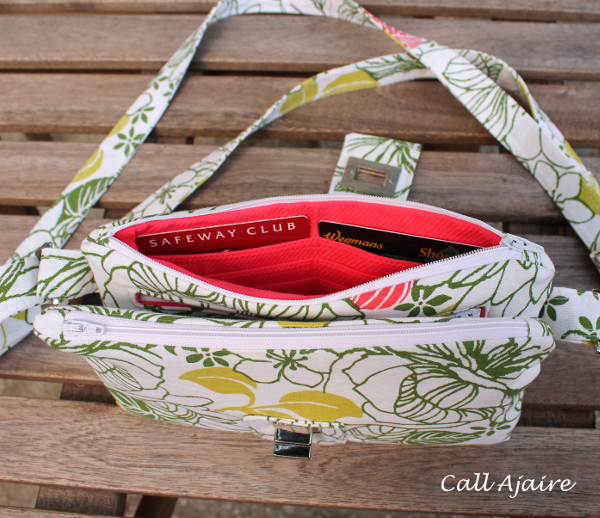 So when Rachael asked if I wanted to do an SSW post I knew I wanted to find a purse or wallet that would work for me. 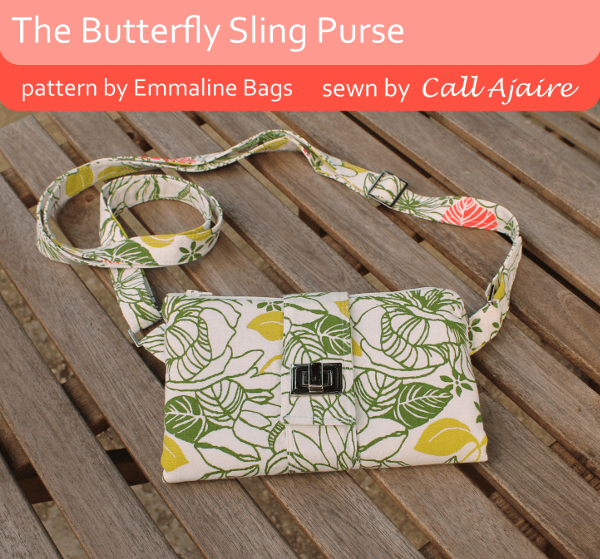 I fell completely in love with the Butterfly Sling Purse from Emmaline Bags which has the spirit of my current wallet, but is way way cooler. It’s a nice upgrade. Rachael sent me the printed pattern, but a full color pdf version is also available. I’ve been a bit spoiled by being able to zoom in with the full color pictures on my ipad, so I would probably lean toward the pdf, but the print pattern is thorough and easy to follow. 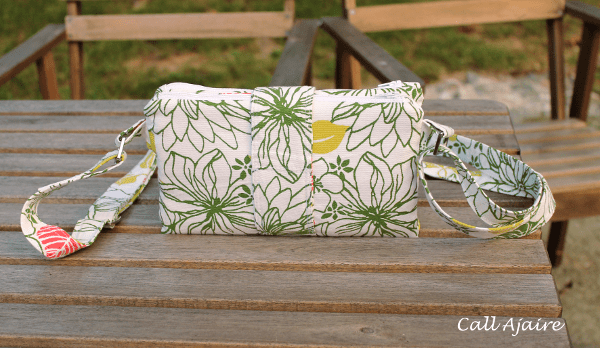 The purse has two zippered pockets that fold together to create an additional area for pockets in the middle. Hence the butterfly name. The sides are held together with magnet snaps on the inside. 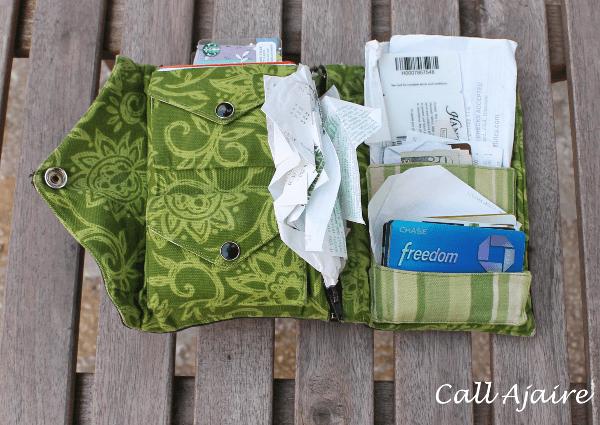 The middle has a pocket that’s perfect for my iphone, another zipper pocket, and an ID window. I’m super cool so I put my library card in there. 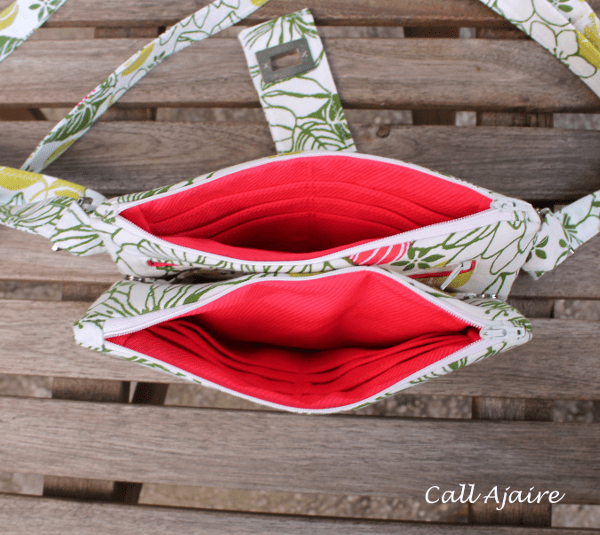 The two zippered pockets each have space for lots of cards and have a great shape for holding things like keys, checkbooks, and other small items. I really love that there are two different spots for cards so I can keep my club cards on one side and gift cards on the other so there’s no confusion. Plus there’s plenty of space for stuffing receipts, hehe. I mean, let’s be realistic. The closure calls for something fun so I decided to get one of the hardware kits from Emmaline Bags too. I found it difficult to find anything that looked nice at the local stores, so I was really pleased with the look and quality of the hardware I received. I would highly recommend buying directly from them. So what do you think? Is it an upgrade from this nasty old one? 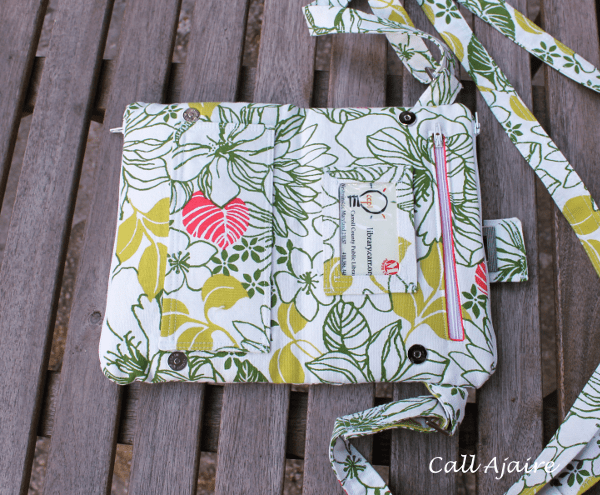 I am so excited to start using the new purse and it feels good to finally get something made for myself. If you’re look for some more SSW inspiration, check out the Kollabora projects here. And there’s also an awesome giveaway so be sure to enter the rafflecopter below for a chance to win! Love how it turned out, looks totally professional! Definite upgrade. It's great and if I were Inclined to use a purse, I'd make one like this. I llove the interior color. And the id window. My Id window has my boring swipe card for school but I look super non chalant when I just wave my wallet at the card reader and I can magicall y enter the building! Thank you Sarah! The gold polka dot was a lucky find at JoAnn! Thanks Stephanie! The pattern walks you through it all. And the hardware was totally worth the tiny bit extra for shipping from canada to really make it look great. oh yeah! Sure looks like this will serve you well!